The following is a fine example of a closed-deck block. 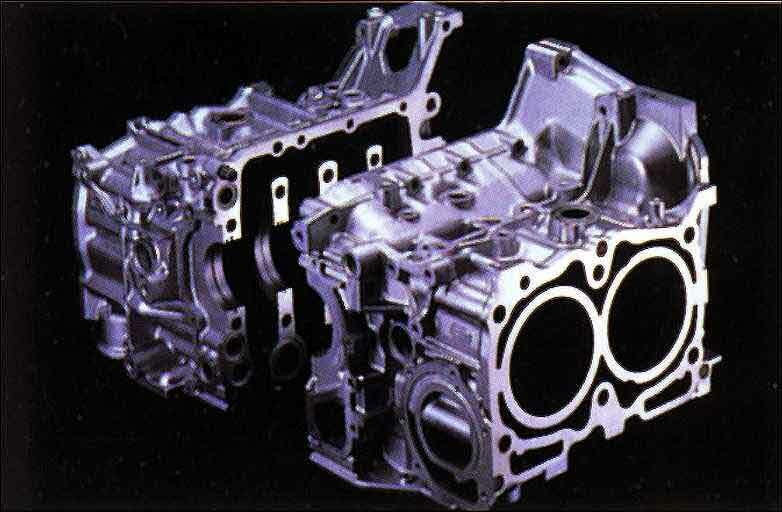 The cylinder bore is mated right to the surface of the block which gives it incredible stiffness and resistance to warping or cracking. These engines are created using the "sand-cast" or "lost-foam" methods. Both aren't terribly expensive methods of casting, but they'r emuch less accurate than using the die-cast method. This is why all Subaru engines currently use the die-cast, open-deck design. Below is a prime example of an open-deck block. 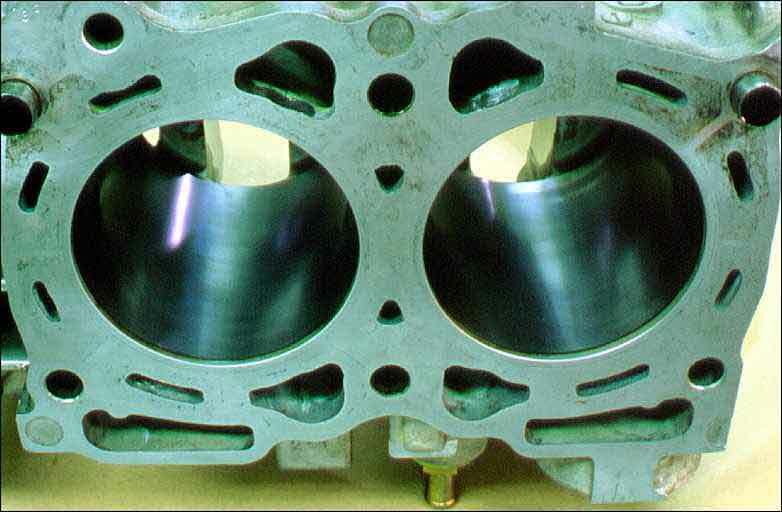 Notice the large amount of space around the cylinder bore. This is due to the limitations of the die-cast method. Die-cast is less expensive and more accurate than other, more elaborate and time-intensive methods. All Subaru engines are made using die-cast, open deck designs at this time.